I'm usually not a fan of a book told from the point of view of so many characters. But this one worked for me. Speaking of the characters, these were good ones. Some I felt sorry for, some I wanted to kick in the teeth. I didn't realize that lace was banned in France for a time. I adore learning new tidbits like that. Have I ever mentioned that I love stories that take place in the Midwest? Well I do. Poor Edie...I completely felt her pain. I think I expected more out of this book...it was good but it didn't blow me away. That can happen sometimes when a book gets a lot of attention. I expect too much. I really, really liked The Brief Wondrous Life of Oscar Wao. This is How You Lose Her was just ok for me. Short stories? Not generally my cup of tea. Source: Thanks to Roxane Gay! Oooh! I couldn't put this one down! Great twists and turns that you don't see coming. I was fascinated by art forgery techniques. Who knew!? 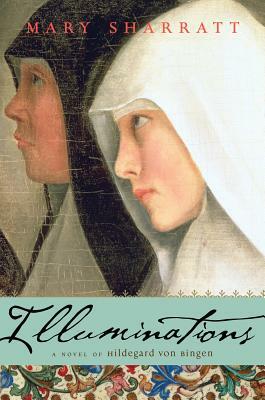 Illuminations: A Novel of Hildegard von Bingen reveals the unforgettable story of how Hildegard, offered as a tithe to the Church at the age of eight, triumphed against impossible odds to become the greatest woman of her age. Combining fiction, history, and Hildegardian philosophy, Illuminations presents an arresting portrait of a woman of faith and power—a visionary in every sense of the word. One sign of a good book is when you want to learn more about the subject/character. This book did that to me. I was a googling fool. What a brave woman! Seriously, wow. I couldn't help but wonder about how I would handle being given as a tithe to the Church at the age of 8. I can't even imagine. I'd love to read the historical novels on your list, especially The Art Forger. Junot Diaz I might try to read, especially because he's a prize winner! 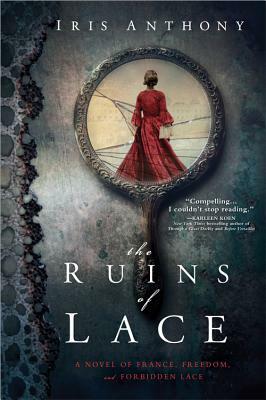 I really want to read The Ruins of Lace, so I'm glad to see that you enjoyed it. I haven't read any of these! Although as a trained musician I did learn about Hildegard von Bingen in college. There is a documentary about her sitting my Netflix queue too right now. 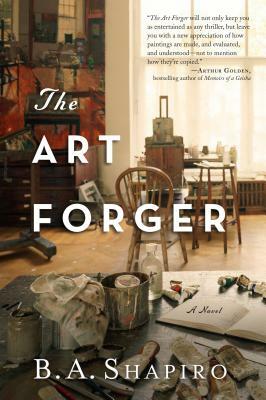 Adding The Art Forger to my want-to-read list today! Oh! I didn't know there was a documentary about her! I'm going to look for that! Sweet, I see that it's something I can stream right away on Netflix. Thanks for the heads up on that Kristin! Sure! It's called "Vision" http://www.imdb.com/title/tt0995850/ I haven't watched it yet... my husband is going to start studying for his music comprehensive doctoral exams next semester and maybe before then we'll finally get around to watching it. LOL! Heheh nevermind on the link, I see you found it! 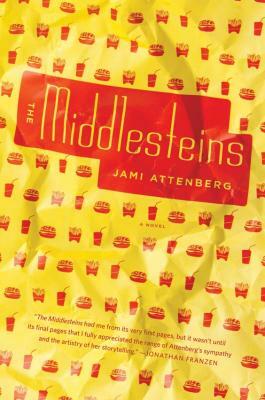 I have the Middlesteins too...did you happen to be at the book event in New York City on September 29, and I missed meeting you? That's where I got my copy. I really want to read The Art Forger. Sounds GREAT. I *wish* I had been at said event in NYC! But no, I wasn't. You have a couple of good reads coming up in Ruins and Middlesteins :) If you have a chance to read The Art Forger you should definitively do so, I loved it! I want to read it very badly. Thanks for the confirmation. Ok on your not being at the book event.. I want to read the lace book and the Art Forger. Every blogger I know that has read these books has liked them. I don't think I've come across a poor review for either of those :) I hope you're able to get to them soon! The Middlesteins really grabbed my attention. That name makes them sound comical, monstrous and ordinary. 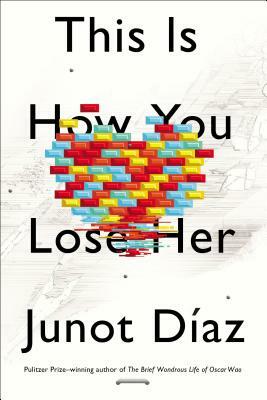 I'm actually afraid to read the new Junot Diaz because I loved Oscar Wao so hard. That's a really good way to describe The Middlesteins! Oh I looooved the Diaz book (posting my review tomorrow). I could see how it would be off-putting though if you don't like short stories in general. I hear you Rebecca! You should see my list of books right now, ridiculous! They are ones that I'm going to request when my library ban is over. I blame ALL the bloggers! I knowwwww! I was thinking that my New Year's resolution would be to Just Say No in January. Meaning that I will say no to all the books everyone else wants me to read for all of January, and just read the books I want, no matter what they are, for January. I'm glad you enjoyed The Art Forger. I should probably work on writing my review sometime soon but I just can't bring myself to do it because I didn't love it like everyone else did. I think I mostly just expected something more (mostly from the writing). I don't know what it was exactly but I devoured that one. I think I liked the tease..I wanted to know what in the heck happened.